The Maritime Mobile Service Identity, or MMSI, is a unique nine-digit number that identifies transmitted signals within the GMDSS system. It functions like a telephone number for the devices on your boat. The MMSI is assigned to a vessel. The same MMSI is programmed into all shipboard equipment that transmits and receives digital signals. This includes VHF radios, medium and high frequency radios, AIS (Automatic Identification System), and INMARSAT satellite terminals. In the United States, the National Telecommunications Administration (NTIA) provides MMSIs to federal users. The Federal Communication Commission (FCC) provides MMSIs to everyone else. NTIA is as Executive Branch agency under the Department of Commerce, and the FCC is an independent agency. The United States Power Squadron is authorized by the FCC and the US Coast Guard to issue MMSIs to US flagged vessels not subject to Safety of Life at Sea (SOLAS) Convention requirements. This includes almost all recreational boats. To get your MMSI number, simply go to the US Power Squadron website at http://www.usps.org/php/mmsi_new/, register as a user, then complete the form. It’s that simple and it is free. If your MMSI registration information or contact information changes for any reason, you must update your registration. 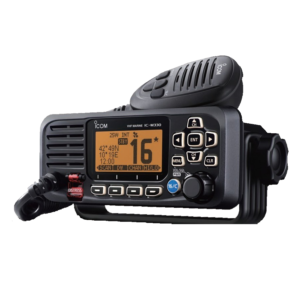 Cancel your MMSI registration and inform the new owner of the need to reregister the MMSI if you sell your DSC-equipped radio or the vessel the devices are mounted on. This action is necessary so that the Coast Guard can contact the right person if a distress situation were to occur. Registration changes can be accomplished by contacting the organization or agency which originally registered your MMSI. The America’s Boating Club offers an in-depth look at this system in their Marine Communications Systems course. Want to learn more about MMSI but not take a course? Then take the US Power Squadron Using VHF & VHF/DSC Marine Radio seminar.